Our Brazilian slate strips are an individual and creative way of drawing attention to a new or existing feature of your home or office. They can be used on interior walls or floors, in between kitchen cupboards, fire surrounds or even as skirting to compliment existing natural materials. Why not mix and match them to make your own completely unique design? 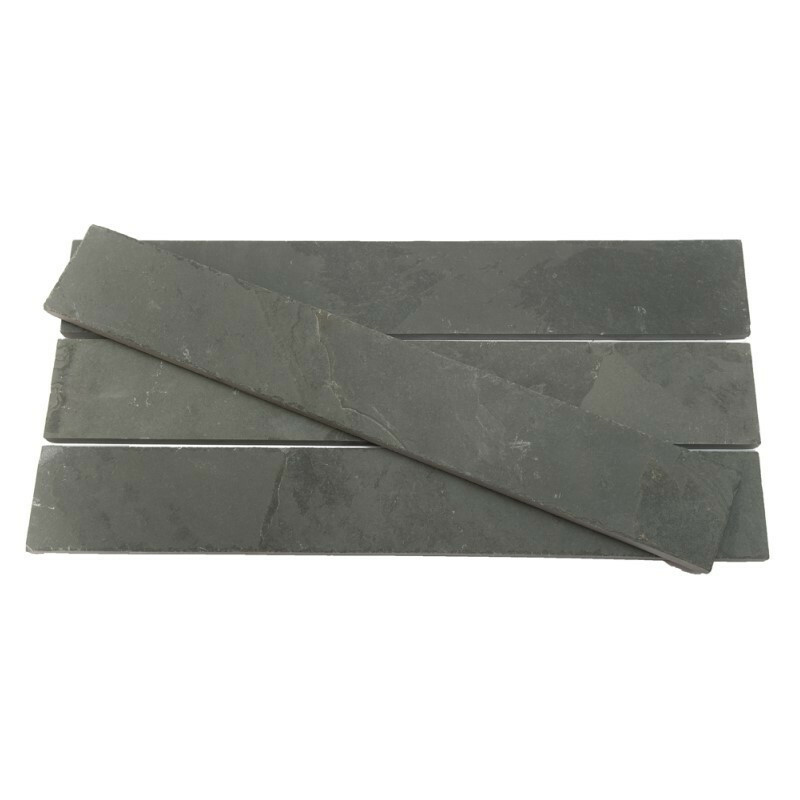 Slate strip tiles have a straight cut edge and are from the same ethically sourced quarry as the rest of our Brazilian slate tiles so will be an exact match in colour and texture should you wish to get creative with our expansive range of products.